Joining us as a panelists for the first time this year is San Antonio local, and two-time Grammy award winner Sunny Sauceda. The five-time grammy nominee won ‘Best Tejano Album of the Year’ during the 47th Annual Grammy Awards for his record “Polkas, Gritos y Acordeónes” in 2004 as well as a Latin Grammy in 2005. Sauceda, has been passionate about Tejano music since he was a kid. He recorded his first CD at the age of 5, and has been making music since. Before he started his solo career, Sauceda formed part of Grupo Vida, which played as an opening act for the Dixie Chicks National “Fly” tour. 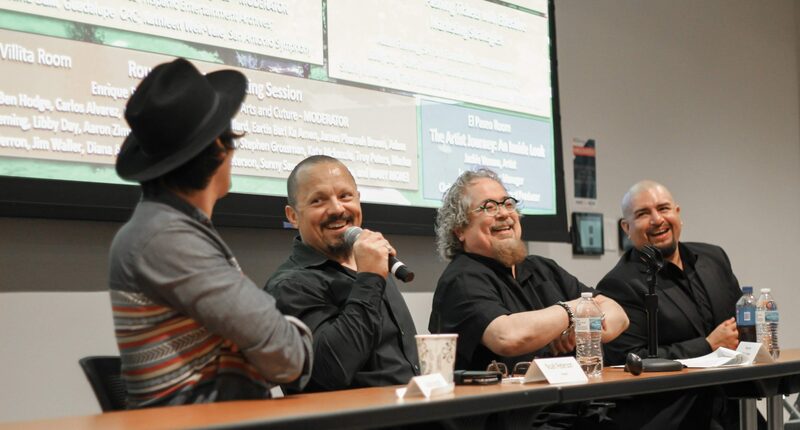 Sauceda has also collaborated with Tejano artists like David Lee Garza and Joel Guzman. Do not miss the opportunity to meet Sunny Sauceda at Music Biz Day on April 6th 2019. He will be sharing the stage with other professionals as well as bringing you the latests industry trends you need to know.